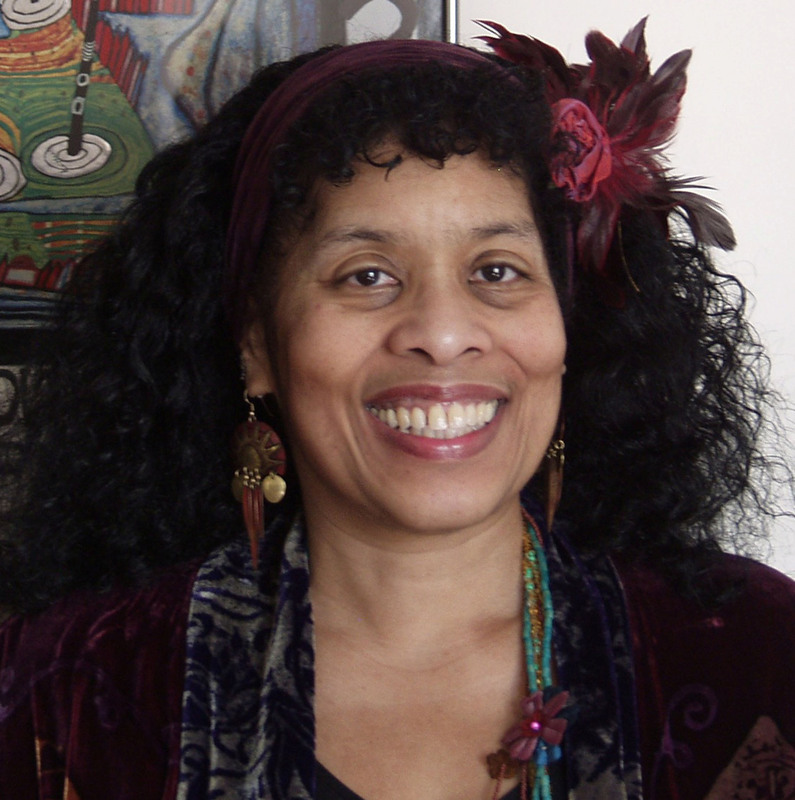 Andrea Hairston, a professor at Smith College, will be the morning keynoter at tomorrow’s WriteAngles conference. She was interviewed by Jean Marie Ruiz. When and how did you know that you were a writer? When I was growing up in the 50’s I intended to be a theoretical physicist or a mathematician. But I come from a family of storytellers, big talkers, and tall tale tellers. Nobody in my family ever knew when to shut up. In college on the way to a physics major, I shifted to theatre and writing and directing plays. I love the theatre and the possibilities of live performance, yet there were always stories that I wanted to tell that called out for a different form. So in 1995, I decided to become a novelist. How do you first conceive of your novels and plays? Do they start with an abstract idea, a character, a setting, a memory, a “what if?” question, or . . .? I start with an idea or a question or characters talking to me. A poem. What made you decide to write your first novel, MINDSCAPE? Actually I wrote several novels before MINDSCAPE. In 1995, I decided to write science fiction and fantasy novels while a guest professor teaching African American Women’s Theatre at the Universität Hamburg. I wrote WILDERNESS, an unpublished novel, and then in 1999 I started MINDSCAPE, a story in the same world as WILDERNESS. I had been to conferences in Germany and the US where so many people were eulogizing Africa, proclaiming her demise, mourning the impossibility of any sort of African survival. Africa had to become European as quickly as possible – dump African languages, spiritual traditions, etc. I wanted to imagine something else. The colonized enter science as refugees from their magical worlds – prisoners of superstition, hostages of the colonizer, slaves of the master narrative. Modernity and post-modernity, although products of colonialism, displace the colonized to the past, to history, to people who once were whole and have now been shattered by their backwardness, their poor competitive adaptation, their lack of science and democracy, their inept economics. The colonizers have consumed the colonized and define the future. So caught up in the past, still trying to survive history, how can the colonized imagine a future? How can a future be imagined that contains the remnants of their broken spirits? This is the kind of challenge I like as a writer. How do science and art and imagination intersect in your work? I am everything I am all at once. My writing reflects that. What is your latest creative project? THE MASTER OF POISONS – a novel which I just sold and should be coming out soon! Also, Episodes From the Continuing Drama of Cinnamon Jones: Scientist, Artiste, and Hoodoo Conjurer, a play. I’ll be presenting a reading of the play 7:30, November 30, at Smith College. We are thrilled to announce that Edie Meidav and Andrea Hairston have accepted our invitations to speak at this year’s WriteAngles conference. We hope to publish our full program soon, and to include information about literary agents who will be available for individual meetings. If you have not yet subscribed to our site, please do so and you will receive further announcements (via email) as they are made. Registration is expected to begin about six weeks before the November 17 conference. 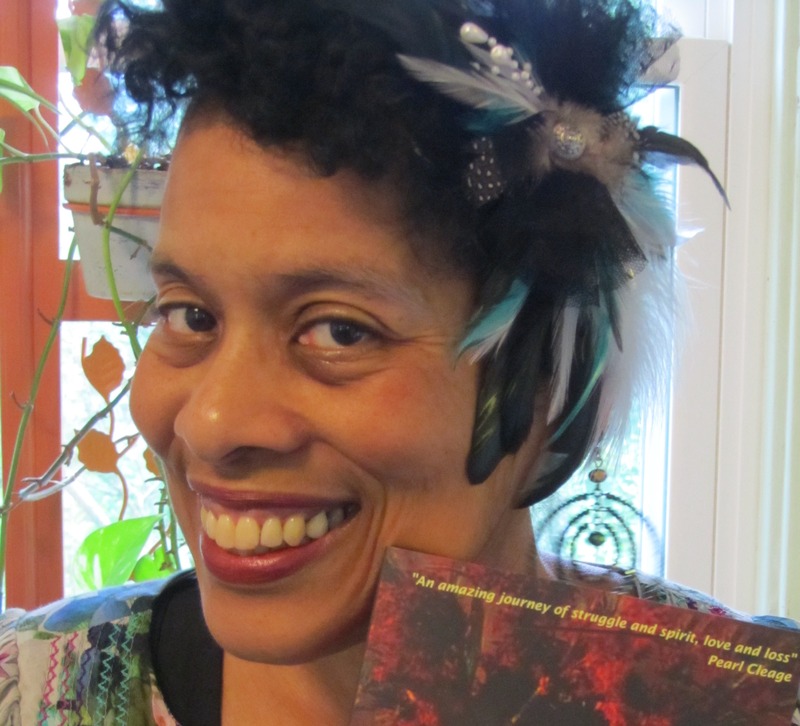 Andrea Hairston, who will be on the Shaping the Story panel, is the award-winning author of REDWOOD AND WILDFIRE and MINDSCAPE. She teaches playwriting and screenwriting at Smith College in Northampton, Massachusetts. She was interviewed by Cheryl Malandrinos. I come from a family of tall tale spinners. My grandfather was a Baptist minister and held forth from the pulpit every Sunday. My mother talked up a storm every day and captivated everyone with her stories, with her wit and wisdom and flashes of insight. As a child in grade school I was always talking too much and preventing other kids from hearing what the teacher had to say. My mother told me if I knew what the teacher was trying to teach us and felt bored or restless, rather than bother the kid next to me, I should write her a story. So I did. Every day I wrote stories that happened to me, stories that just fell into my mind. So I can’t remember myself before I was writing stories. Writing has always been part of my life, a way of being in the world. So why not have it be your career? I decided to write plays in college. Stories that happen in front of an audience with live actors and music and scenery and amazing costumes and lights, that was a real thrill. I decided to write novels when I was a guest professor at the University of Hamburg in Germany. I became another person when I spoke German and, despite being fluent in German, I felt like I had landed on another planet! I met women from Sudan, Rwanda, the former Yugoslavia, Central America, and Sri Lanka who had found asylum in Germany and were working to reinvent themselves. They told me their stories and demanded a place on the world stage. I wanted to write about the experience of crossing cultures and discovering who else you might be. I wanted to tell an epic story with a cast of thousands. I wanted to explore how language shapes the landscapes of our minds. I have always been interested in stories that haven’t been told; in characters who have been left out of the official narratives; in lives that don’t get written down. So I have been inspired by the people whose stories might get thrown away. They are the stars of my novels. What do you enjoy about writing speculative fiction? German playwright Berthold Brecht said, “Art is not a mirror held up to reality but a hammer with which to shape it.” I like world building and conjuring reality. Science Fiction and Fantasy writers shake our minds loose from the iron grip of the indicative case. By substituting might be or would be for is, SF & F writers allow us a thrilling flight of fancy that changes our reality. 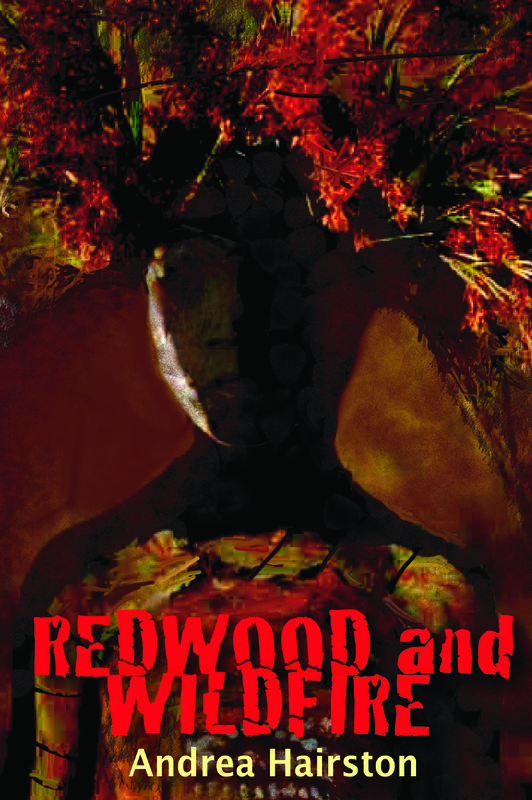 REDWOOD AND WILDFIRE is an historical fantasy novel about two dreamers, an Irish-Seminole bluesman and an African American conjure woman, who leave their backwoods Georgia home for the bright lights of Chicago at the beginning of the 20th century. The book is about love, making movies, murder, and the transformative magic of music and storytelling. Actually, I never intended to write an historical novel. I was writing a contemporary piece and Redwood and Wildfire were the grandparents of the main character Cinnamon, a young girl growing up in Pittsburgh, Pennsylvania. I wrote backstory – getting to know the elders was just to understand Cinnamon and her contemporary life and choices. I kept thinking: “Me, write about 1899, 1910 – are you kidding?” The past is like a foreign country, an alien world, and, despite my love of travel and adventure, I didn’t want to offer myself as tour guide to the turn of the 20th century, as chronicler of what was. So I tried to get out of it. I tried to hide the history in the subtext. I tried to have “history stuff” be backstory for the contemporary novel; I would allude to this story but not explore or fully develop it. This worked like dancing in cement shoes. Not just Redwood and Wildfire, other characters from the supposed backstory haunted me; tantalizing scenes turned up in my journal and appeared on my laptop; the backstory stopped the contemporary action cold. Finally, after much kicking and screaming (and five hundred pages), I admitted the “history stuff” was too compelling to delete or ignore or fit around or behind some other story. REDWOOD AND WILDFIRE is dedicated to my grandfather and great aunt. I wanted to write about the people who imagined the world I now lived in, who made me possible, when they were young and all around them brutal “reality” denied their hopes and dreams. I wanted to explore their struggle and joy. I am the dream they had. REDWOOD AND WILDFIRE insisted on being written. So I wrote it. How is novel writing different from playwriting and/or screenwriting? How are they similar? I write dramatic stories. Playwrights and screenwriters sing in a chorus. They create blueprints for action. They leave space for others’ creativity in the midst of their own. This is wonderfully rewarding and very tricky. Novelists are responsible for the whole shebang. This is a lot of heady power and also very lonely. Thus novel writing is a lot less egos to negotiate than playwriting or screenwriting, but also a lot to come up with without an inspiring chorus of feedback. Luckily, to help me craft a full complex world, I can imagine directors, costumers, set designers, lighting designers, and actors. At heart I’m a dramatist. 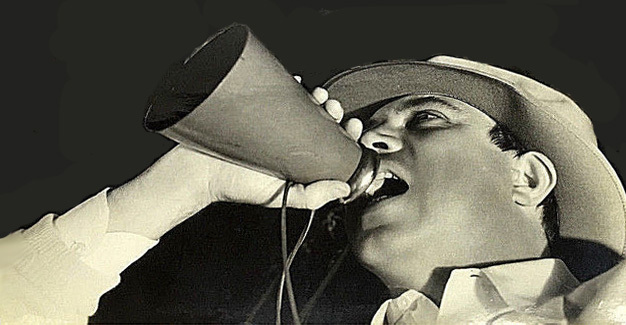 Sometimes, it’s a solo gig – then I have to play all the roles! Can you tell us a little bit about what you’re planning for the Shaping the Story panel? I’ve been thinking a lot about narrative – what I have read, written, seen, and heard in the last half century. I’ve been pondering what works for me and why. I want to share the dramatist perspective on narrative structure, on character and action. Additionally I want to improvise – with the panelists and the people in the audience. The great thing about theatre is the community of meaning we make when we bounce our thoughts and creativity off of one another. I am glad WriteAngles puts us all in a room together because magic and miracles are bound to happen! I am working on a new novel about Redwood’s and Wildfire’s granddaughter, Cinnamon — WILL DO MAGIC FOR SMALL CHANGE. Now that I’ve told her grandparents’ story, I can tell hers. I have a REDWOOD AND WILDFIRE page on Facebook.